Ottoman scholars built many libraries in Istanbul and in other cities of the Ottoman Empire. They translated many earlier books into Turkish or Arabic, like the works of the Roman astronomer Ptolemy. Ottoman scholars also continued to make their own new investigations. The mathematician Ali Qushji, for instance, came to the Ottoman Empire from his home in Samarkand, where he had been a student at the great observatory of the astronomer Ulugh Beg. When Ulugh Beg’s son killed his dad and knocked down the observatory in 1449 AD, Ali Qushji moved to Constantinople. There Mehmed II was a much better patron for scientists. Ali Qushji got to Constantinople about 1470. Ali Qushji generally believed that the earth moved around the sun. He found evidence for the rotation of the earth through his observations of comets. Ali Qushji rejected Aristotle‘s idea that the planets had to move in perfect circles, which had been such a problem for Hipparchus 1500 years earlier. By the early 1500s, Ottoman scholars realized that a lot of new ideas and discoveries were coming from Europe. 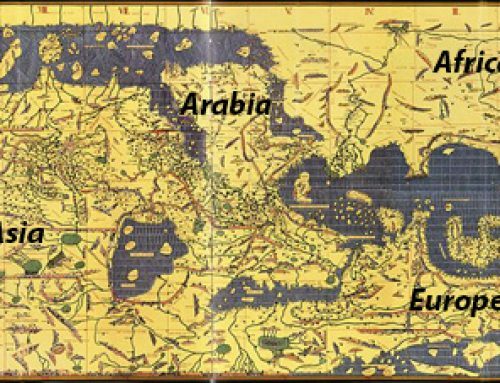 In 1528, the geography Piri Reis published a map of the world that included North America and South America, showing that Ottoman geographers were getting information from European explorers. When the Spanish Christians threw the Jews out of Spain in 1492, the Ottoman Empire welcomed them, and many Spanish Jews moved to Istanbul. The Jews brought new ideas with them from the universities in Spain, including the printing press. About 1550, Matrakci Nasuh developed the lattice method of multiplication. In 1551, Taqi al-Din described a simple steam engine and steam turbine in his book, The Sublime Methods of Spiritual Machines. 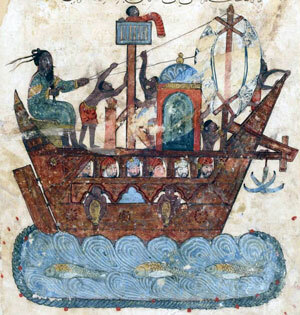 Taqi al-Din also worked on building more accurate clocks. Only a few decades after Europeans, he built clocks with minute and second hands, timed with springs. He published a book of his experiments in optics. He may even have invented an early telescope, which he described in 1574. About the same time, Sultan Murad III built a huge observatory at Istanbul. It had the best instruments of its time. It was very much like the observatory Tycho Brahe worked in about the same time, not far away in Eastern Europe. But after 1600, research gradually stopped in the Ottoman Empire. This was mainly because, with the decline of the Silk Road, the empire was not rich enough to support advanced research. Most people couldn’t afford to send their children to school. So many, many smart, hard-working kids who might have grown up to be scientists just spent their lives as farmers instead. Because those kids weren’t going to school, it was hard to make a living as a teacher, and researchers had to take other jobs instead. 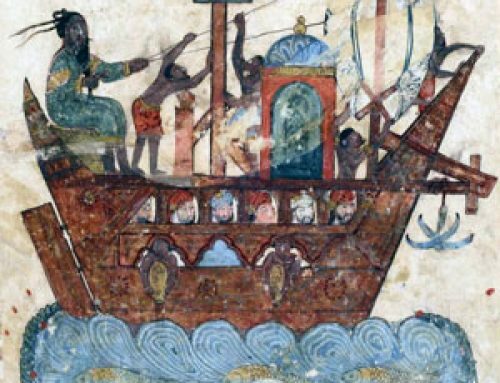 Ottoman scholars continued to take an interest in new discoveries. In 1632, Shamsuddin Itaki wrote a book summarizing in Turkish the new discoveries in human anatomy that were taking place in Europe – the way the blood circulated to the lungs, for example. In 1660, the astronomer Ibrahim Efendi published an account of Copernicus‘ ideas. But there just were not enough educated people in the Ottoman Empire to produce good scientists. And even if they had invented new things, not enough Ottoman people were rich enough to buy the new inventions. Cite this page: Carr, K.E. 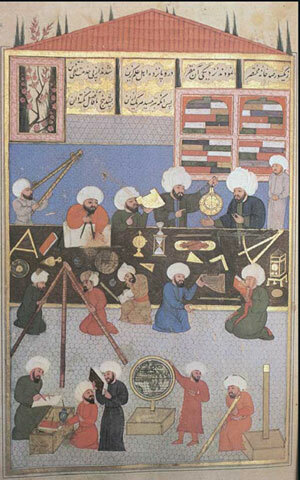 Ottoman science – astronomy and clocks. 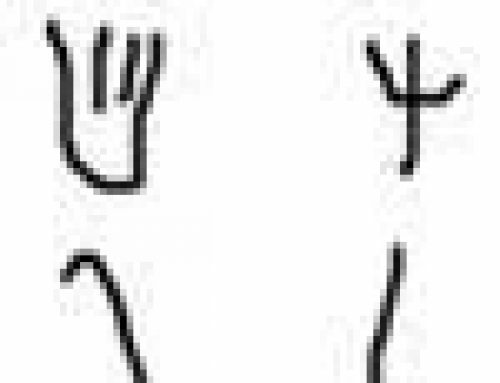 Quatr.us Study Guides, September 11, 2017. Web. April 18, 2019.